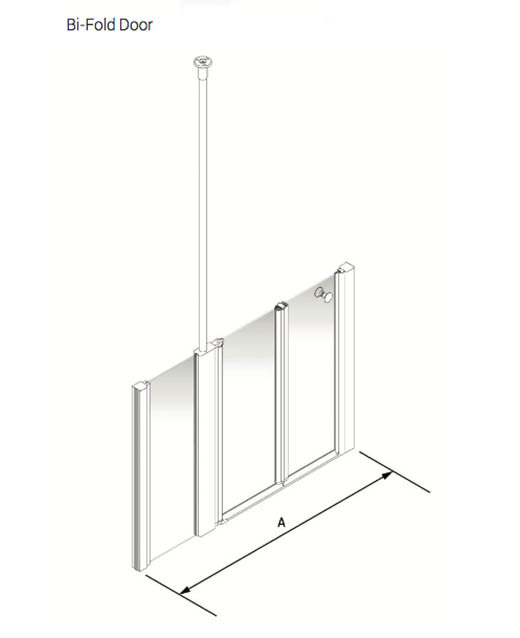 AKW Larenco offer a range of full or half height glass shower doors and screens. The Larenco range has Corner or Alcove door options and side panels to fit most configurations. The Larenco Shower Door system is Modern, Stylish and easily adjusted to provide care assisted showering, or a splash guard for bathing children. 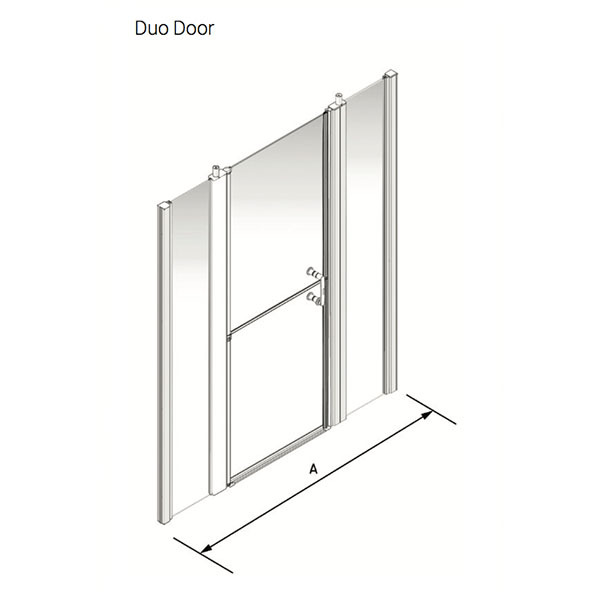 Combining style, accessibility and flexibility, these shower doors are perfect for all bathrooms. We have a range of Full Height or Half Height Doors & Screens. The Larenco range has options which include Single doors, Bi-fold doors Or Duo doors where the top and bottom open independently. There are many size options for each configuration type. Please get in touch if you are unable to find a configuration that meets your needs. 9 options of full height, plain, bi-fold or barn doors. Also available with 1 or 2 fixed panels. 12 options of full height plain, bi-folding or duo doors. Also available with 1 or 2 fixed panels. 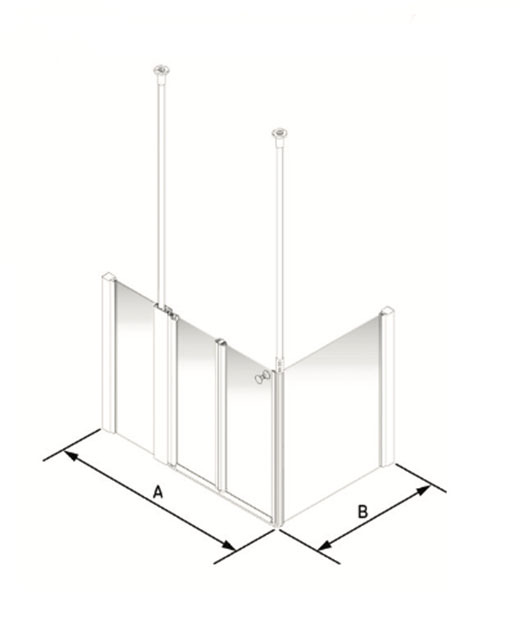 6 options of half height, single or bi-fold doors. Also available with 1 or 2 fixed panels. 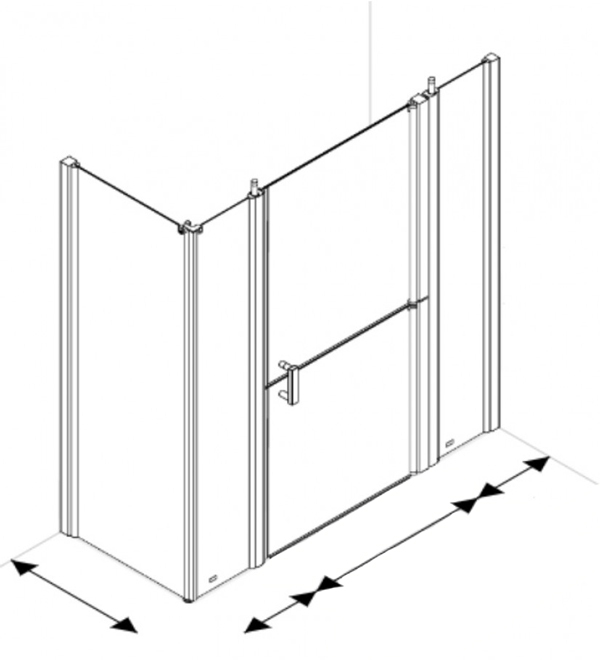 5 options of half height, single or bi-fold doors. Also available with 1 or 2 fixed panels and return panels.